Welcome to the H.A.M. (Humans Against Monsters) Hideout, the home of the H.A.M. followers. 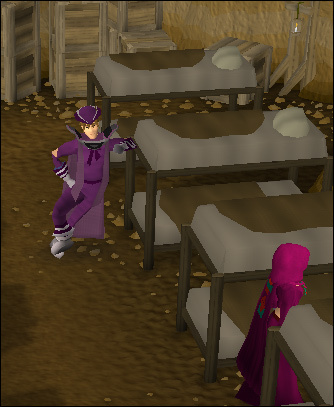 Their goal is to rid RuneScape of the horrible monsters that terrorize their loved ones. Members of the H.A.M. group wear a set of pink robes complete with a logo, hood, boots, gloves and cape. Enjoy your stay in the H.A.M. Hideout, because there are many things to see. What Can I Pickpocket Inside? This is the most commonly used method. It requires clicking on the in-game screen or the minimap. A map is provided below displaying the position of the H.A.M. Hideout entrance. It should help you have a general idea of the location of the entrance. The entrance is marked in a yellow circle and also the Dungeon ( ) icon. Firstly, to get to Lumbridge you could either die, use the home teleport, or use the teleport runes (3 airs, 1 earth and 1 law). Once you're there follow the line guiding you past the general store and through the woods to the entrance. 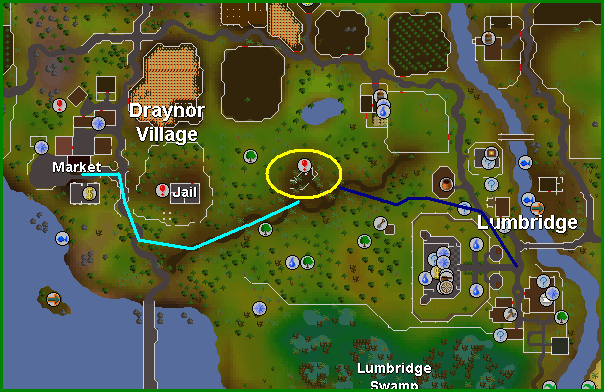 To get to Draynor Village you could use an amulet of glory teleport. Follow the line leading from the village and you'll arrive at the entrance! 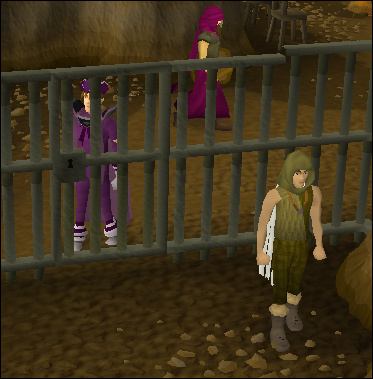 There is a little warning you should take into consideration if you're a low leveled player: the level 26 Jail Guards will attack you. They are located near the Jail, so be careful! Once you are at the H.A.M. 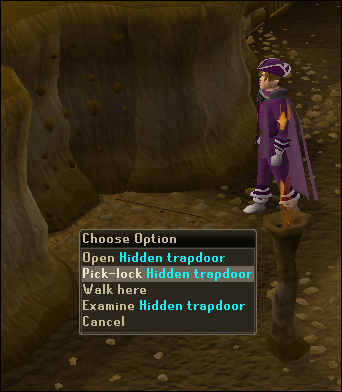 trapdoor using your method of getting there, right-click and select "Pick-Lock" the trapdoor. After a few tries, it will open and you'll be able to enter the hideout! Beware though, if you fail too many times, your fingers become numb and you may lose a thieving level! 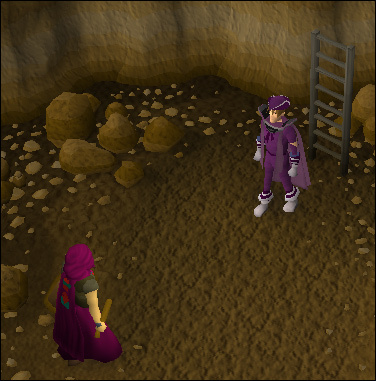 This is where you will arrive once you have picklocked the trapdoor and climbed down the ladder. In this area are three H.A.M. Guards, which can be attacked, talked to or pickpocketed. 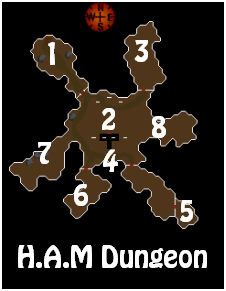 Players can be found here slaying the Guards in hope of obtaining some H.A.M. equipment. There is also a crate inside the area, which when searched, contains nothing! Lots of H.A.M. members, both male and female, and the H.A.M. Deacon can be found in this area. The Deacon is addressing his attentive audience with important messages. You can talk to the H.A.M. members on the chairs, but you cannot pickpocket them. You can, however, pickpocket the H.A.M. members that aren't sitting down. In this area are eight bunk beds, in which sixteen H.A.M. followers can rest. At the northern end of this area are two sets of boxes and one set of crates. If you search these, you won't find anything. H.A.M. members and H.A.M. Guards can be found here. You can talk and pickpocket the members, and you can attack, pickpocket and talk to the guards. 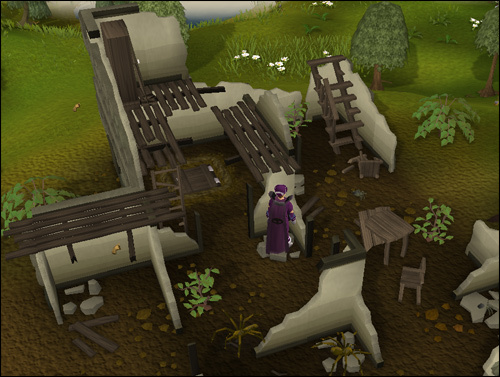 If you examine the area that is right clicked in the picture, you will find a hidden trapdoor. You can picklock this trapdoor to climb down. Once you're down, you'll be in the H.A.M. storerooms! 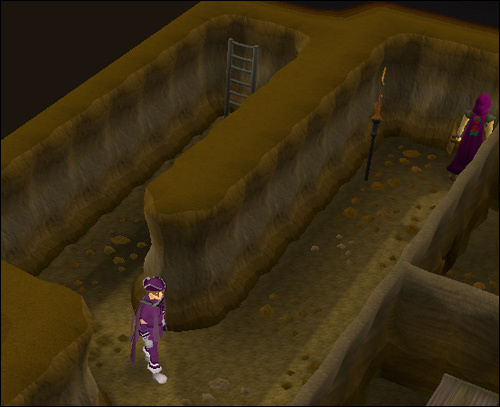 This area is a feature in the Death to the Dorgeshuun quest. You must navigate through here, without being seen by guards, and the map below map help you! Guards in this place can be also pickpocketed, and there is (for all other things) pretty big change to get a key to storerooms. Keys can be bronze, iron, silver or steel. 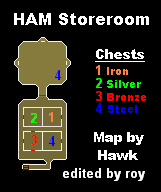 You can make your way to these five rooms and search right chest for key you have. You can receive 10-80 coins, sapphire-diamond gems (cut) and sapphire-diamond necklaces, amulets (strung) and rings that can be alchemized for small amount of money and magic XP. 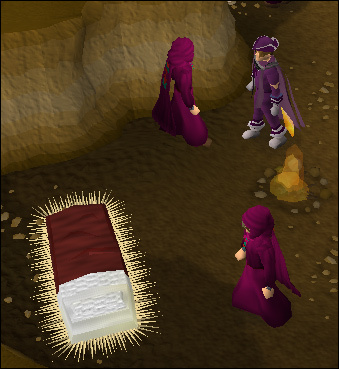 Jimmy the Chisel is a feature in the One Small Favour quest. It is your job to release him upon request of Aggie the witch. Also, players that have been caught pickpocketing will be thrown in the cell with Jimmy. This area isn't of real importance, apart from the fact that it has lots of H.A.M. members and guards, which can be pickpocketed and killed respectively. This area also contains some interesting scenery, which are three sleeping bags and two fires which never go out. 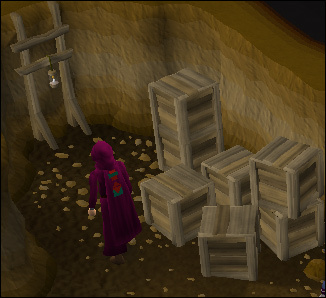 This area is somewhat similar to the last area, except this area contains crates and boxes, which you can search! Unfortunately, they contain nothing. In this area H.A.M. guards and members can be found. There are also two cosy looking H.A.M. members sat around a fire having a chat. I call these parts areas, because they don't really have doors. Anyway, moving onto this attraction. In here, three H.A.M. 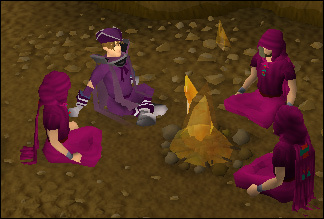 members can be found talking around a fire. There is some more scenery, including some sleeping bags. 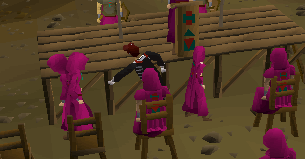 Unfortunately, members around the fire cannot be pickpocketed but can be talked to. 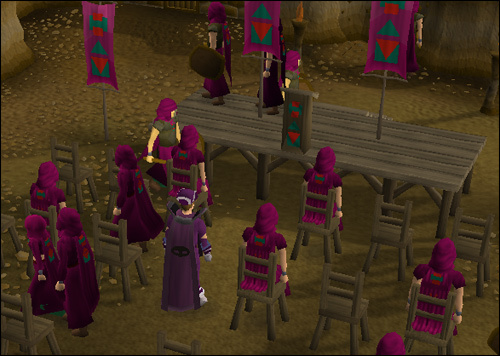 Members that are stood up can be pickpocketed for the loot mentioned below.